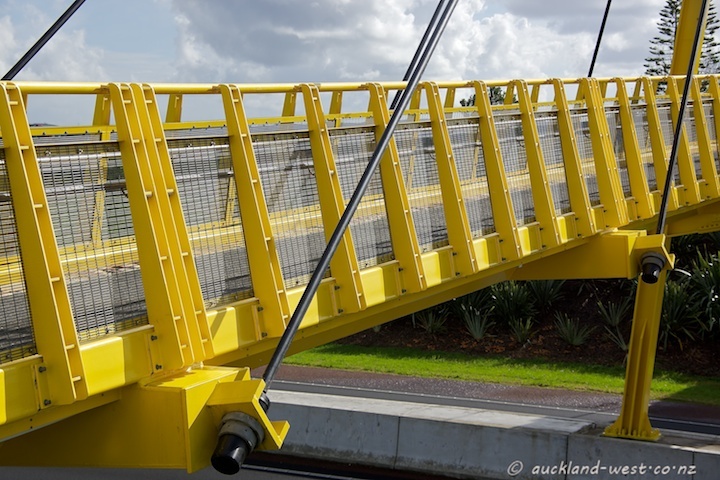 The construction of State Highway 18 cut across established neighbourhoods, and Clarks Lane (Hobsonville) with its bridge connects again. 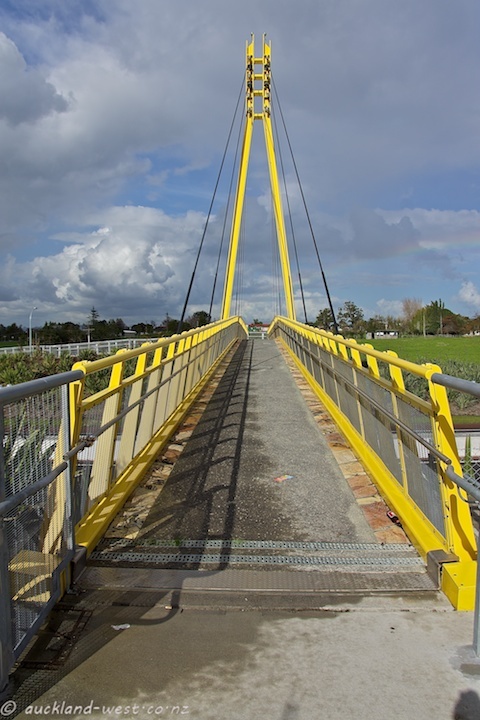 It is one of the “art bridges” created under the auspices of Waitakere City Council. 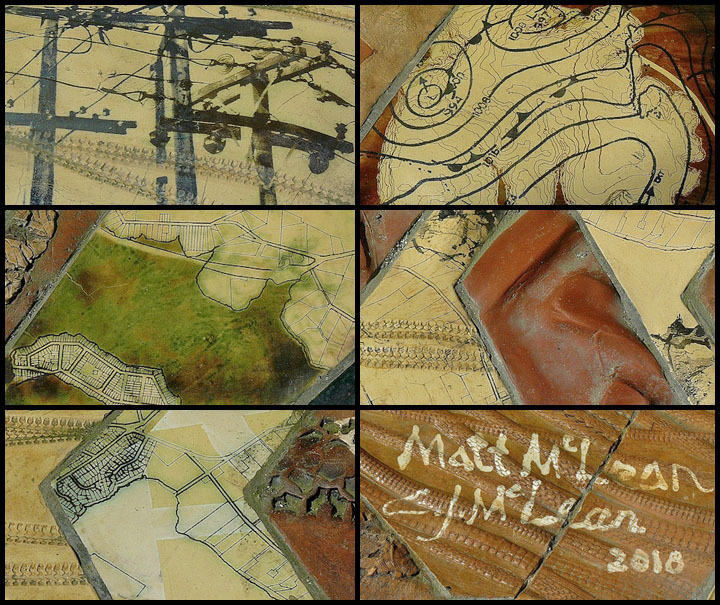 The artwork here consisting of a tiled strip (25 cm wide) on either edge of the carriageway, the work of Matt McLean and his wife Kate. Appropriately, the clays used are from the area (names like “Limeburners Bay” remind us of R. O. Clark’s clay pipe manufacture here), and patterns of bicycle tyres, maps with contour lines and isobars, create a focus on history. 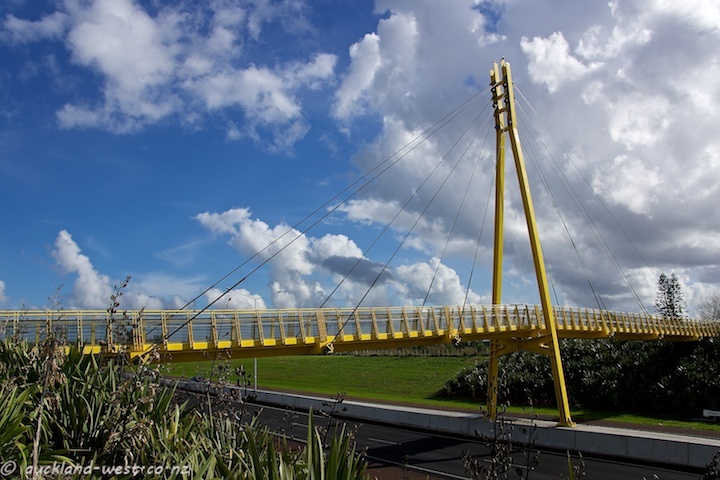 A glimpse of the bridge appeared in our post of October 28, 2011, depicting John Radford’s sculpture “Sinton Windows”.